Note, 2 June 2017: Since writing this, Tolkien’s Beren and Lúthien has been published, so the speculations below regarding its content are out of date. My New Statesman review of the book as published can be read here. In a wood filled with a cloud of white flowers, a soldier walked in the spring of 1917 with his wife, and she sang and danced for him. To that battle-worn lieutenant, J R R Tolkien, Edith’s dance was an unforgettable glimpse of unearthly joy in the midst of sorrow and horror. It inspired the story he saw as the ‘kernel’ of his mythology. A century on, in 2017 the love story of Beren and Lúthien will finally appear as a book in its own right. Potentially a landmark among Tolkien’s many posthumous publications, it will appear in May from HarperCollins in the UK and Houghton Mifflin Harcourt in the US with a cover and illustrations by Alan Lee. I am astonished and delighted, not least because its editor, Christopher Tolkien, is now approaching his 92nd birthday. 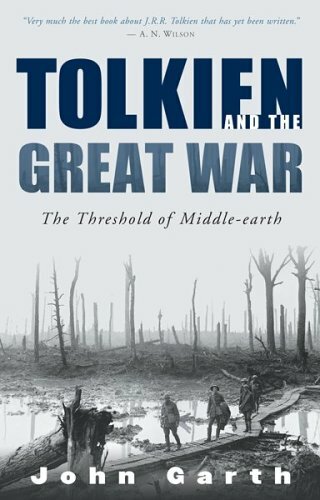 J R R Tolkien’s experiences and development as a writer in 1914–18 are traced in detail in my book Tolkien and the Great War. I’ll only mention here that he had married Edith in March 1916, fought from July for four months in the terrible Battle of the Somme – losing two of his dearest friends – and been invalided home in October. The walk in the wood near Roos, East Yorkshire, came after a winter of sorrow, lingering nightmare, and creative catharsis. The central scene of the story he then wrote, in which the battle-worn warrior Beren sees the elf-princess Lúthien Tinúviel dance in a wood, has been known to readers ever since 1954 and the publication of the first volume of The Lord of the Rings. In the Appendices, Tolkien promised that ‘the full tale’ would be told in The Silmarillion – the legends and history that give Middle-earth its unique sense of depth and credibility. Readers had to wait until 1977 to hear more about Beren and Lúthien – at about 12,000 words, a substantial chapter of the whole Silmarillion. By then Tolkien had been in the grave for four years alongside Edith. There can be no more eloquent testimony to the personal importance of the story than the fact that on their headstone, along with their own names, those of Beren and Lúthien are carved. Only the work of their son Christopher saved The Silmarillion from oblivion. As an editorial contruct from multiple overlapping texts written between the 1930s and 1960s, it is a marvel of consistency. Even more marvellous – considering its gestation – is that it stands as an extraordinary work of literature. 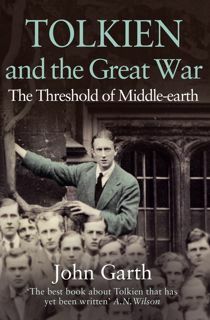 The full complexity and labour behind it will only be apparent to readers of Christopher Tolkien’s History of Middle-earth, which appeared in twelve volumes during the 1980s and 1990s. Given all this, what might actually appear in a standalone Beren and Lúthien? The primacy of this story, together with the Alan Lee jacket, makes this reminiscent of The Children of Húrin, published in 2007. That book enabled us to read the tragic story of Túrin and his sister Nienor as fully as possible, straight through without interruptions, as a work of literature. The Children of Húrin accords in detail with The Silmarillion, but contains much else. It also matches The Silmarillion in construction, as the best text that could be pieced together from multiple overlapping and ever-varying portions. But it reflects Tolkien’s urge to write Túrin’s story in a form much fuller and richer than The Silmarillion would accommodate. [Christopher Tolkien] has attemped to extract the story of Beren and Lúthien from the comprehensive work in which it was embedded; but that story was itself changing as it developed new associations within the larger history. To show something of the process whereby this legend of Middle-earth evolved over the years, he has told the story in his father’s own words by giving, first, its original form, and then passages in prose and verse from later texts that illustrate the narrative as it changed. Presented together for the first time, they reveal aspects of the story, both in event and in narrative immediacy, that were afterwards lost. So Beren and Lúthien will, like The Children of Húrin, include a narrative with beginning, middle and end. However, this will not be a ‘best text possible’, edited from multiple texts. Rather, what is called ‘its original form’ will be used as the basis for an account of the evolution of the story, illustrated by extracts from later versions. On the face of things, ‘its original form’ must refer to the 1917 version – or rather the second version in ink written over it soon afterwards. Publication of Beren and Lúthien marks the centenary of the original writing, so that would be an apt choice. It would also permit the evolution of the story to be presented in order from its very beginnings. Still, there might be reasons to use one of the later versions for the main text. Whatever their vigour and freshness, the ink ‘Tale of Tinúviel’ has already been published in full in The History of Middle-earth as part of The Book of Lost Tales – a collection of stories very different from the later Silmarillion in mode, manner, rationale and nomenclature. Lúthien is not yet called by that name, and the mortal–immortal pairing of lovers is not yet fully realised. As for the demonic opponent who holds Beren captive, in this earliest text – a tribute to medieval beast fable – he is not Sauron lord of werewolves, but instead Tevildo, prince of cats. Though the Beren and Lúthien publicity also mentions the verse versions (1925–31 and c. 1951), I imagine these will only be presented in small samples, because they appear in full in The Lays of Beleriand (volume 3 of The History of Middle-earth). 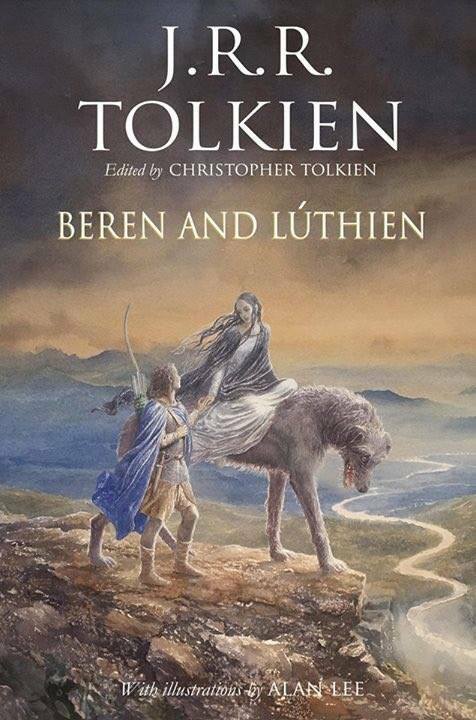 Both the 1926 ‘Sketch of the Mythology’ version and the somewhat fuller 1931 ‘Qenta Noldorinwa’ versions of the Beren and Lúthien sequence might be reproduced in full, but I don’t think either would stand as the main Beren and Lúthien text: they are transitional, synoptic and quite brief (and both appeared in The Shaping of Middle-earth, volume 4 of The History of Middle-earth). In volume 5 of the History, titled The Lost Road and Other Writings, we reach the latest form Tolkien gave the Beren and Lúthien story – a retelling for the ‘Quenta Silmarillion’ of 1937. This was the version used by Christopher as the basis for the chapter ‘Of Beren and Lúthien’ in the published Silmarillion. Rather than reproduce all that text again, The Lost Road refers us to The Silmarillion and simply provides a list of significant differences from the editorial form it takes there. So we don’t actually have Tolkien’s unedited version – and it would be most welcome if it were to appear in Beren and Lúthien. However, there is clearly no way to interpret ‘its original form’ to mean the final form Tolkien gave the prose story. There is another possibility, though it seems a slight one. In his efforts to produce a version of the story for ‘Quenta Silmarillion’ in 1937, Tolkien started a prose version (Christopher labels this rough draft ‘A’) of the long verse Lay of Leithian. He soon gave up, realising he was including so much detail that it would be wholly out of proportion as part of the ‘Quenta Silmarillion’. There followed a series of texts by which Tolkien eventually achieved the ‘Quenta Silmarillion’ form. But Tolkien did still envisage writing the story more fully as a standalone tale, separate from The Silmarillion – as he did with The Children of Húrin. The first full-length version of the Beren and Lúthien story in the 1937 phase (labelled by Christopher ‘B’), though a rough draft, is indeed told in more detail than in the ‘Quenta Silmarillion’. It is, in Christopher’s words, ‘the basis for’ the final forms. At a stretch, ‘its original form’ might refer to this, the first recounting of the story of Beren and Lúthien as a full prose narrative. If that is planned for Beren and Lúthien, there will still be scope to illustrate later developments with extracts from other versions. Publication of this fullest 1930s prose version of Beren and Lúthien’s story would give us a wholly unseen narrative – and one which accords fairly closely with how Tolkien left it when he began The Lord of the Rings. There, the key scene in their tale is sung by Aragorn to the hobbits on the hill of Weathertop – a song of joy amid darkness, and one filled with historical consequence for the singer and the world at large. All too fleetingly, it helps ward off the oppressive fear of the Ringwraiths who hunt Frodo’s ring (they attack later that night). Later we learn that Beren and Lúthien are ancestors both of the mortal Aragorn and of Arwen, the elf-woman to whom he is secretly betrothed. In an even larger scheme, the story links the entire Silmarillion – the legends and histories of the remote past in Middle-earth – with the events of The Lord of the Rings. It tells how one of the holy jewels, the Silmarils, is liberated from the hands of the satanic enemy Morgoth. That jewel passes to the mariner Eärendil and effects his transformation into the Evening Star, Venus – a story conceived even earlier than ‘The Tale of Tinúviel’, in 1914, when it appears in a poem that stands as the very first expression of the creative impulse that built Middle-earth. In The Lord of the Rings, the light of Eärendil’s jewel fills the star-glass that helps Frodo and Sam pierce the shadows of Mordor. Whatever appears in May, Beren and Lúthien stand ever in the background to The Lord of the Rings, and as the keystone to the entire edifice of Tolkien’s legendarium. This entry was posted in 100 years of Middle-earth, Book news and reviews, Tolkien in the First World War and tagged Beren and Lúthien, Christopher Tolkien, First World War, Lay of Leithian, Middle-earth, Silmarillion, Tale of Tinúviel, Tolkien's family, Tolkien's life, Tolkien's writing. Bookmark the permalink. Enjoyed this thank you. Brings to mind that Luthien ‘s father lost his life because of this same jewel. This story continues through the Nauglamir and ending with the Silmaril being given to Dior. Perhaps symbolic of this story being handed down to Tolkien’s son. To carry the story even to this moment when the the story will now be read by millions. Thanks for your writing. John, you have reproduced my thoughts, but in more cogent form. I also hold out hope that the text that Christopher labeled “QS I” will be the primary text, though I still think the “original form” referred to is very likely to be the ink version of the Tale of Tinuviel. One thing that gives me some hope is that the publicity explicitly talks about Beren as a mortal man. He was, of course, an Elf in the original version, albeit a “lesser” one. In any case, I am surprised and delighted by the news. Can we dare to hope that ‘Of Tuor and his coming to Gondolin’ in Unfinished Tales is merely a teaser for ‘The Fall of Gondolin’ and all that follows including Earendil’s transformation into a star? And if not the last act of Christopher Tolkien in continuing the completion of his father’s unfinished works now that he is up in years, the first act of whoever he has appointed to succeed him as his father’s literary executor, especially given that JRR Tolkien intended the tales of Beren and Luthien, the children of Hurin and the fall of Gondolin to be told in three volumes. If only that were possible. However, there is no material later than c. 1931 (“Qenta Noldorinwa”) that deals with the Fall of Gondolin or (apart from a 1937 passage about his arrival in Valinor) the voyage of Eärendil. The only way the full stories could be achieved would be to write them. And that would therefore be the work of Christopher Tolkien, not of JRR Tolkien. Thankfully Christopher hasn’t gone down that route, except for a page or so of bridging work in The Silmarillion (on the death of Thingol, where there was simply no JRRT material consonant with post-1931 conceptions). If he had chosen that path, instead of a wonderful array of work by JRRT with scholarly commentaries, we might now have a set of books like Brian Herbert’s Dune prequels and sequels. I know which I prefer, and I think posterity will judge the Christopher Tolkien route the richer one. An excellent examination of the subject material. Thank you. Thanks, John – I am very excited to see this publication in print; it has always been difficult to get people past the “Silmarillion” tipping point but with CoH and B&L there is now a wider range of entry points to Tolkien’s imagination. 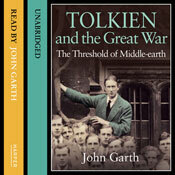 I wonder what will happen to lore of Middle-Earth once C. Tolkien passes. It’s been interesting to see these lesser known Tolkien stories edited and released, but will this stop once Christopher passes? Do you know if they’ve established a successor to continue the work? Great article, by the way. I can’t speak for the Tolkien Estate. I hope more continues to be published, at a high standard – but of course that depends on whether the material exists in the first place, and the supply must be finite. Christopher Tolkien has been a gift to Tolkien readers, Tolkien scholarship and (despite regular jibes from critics about “barrel-scraping”) Tolkien’s reputation. He has not only had the technical skill and the tenacity to bring his father’s work to publication; he has had the necessary drive, passion and sense of duty. Potential future editors might emulate some (or even all) of these advantages. But what’s irreplaceable is Christopher’s intimate involvement with his father’s creative life from the time they were father and son together. Thanks for the analysis. After reading your post I went back & read the relevant Lost Road chapter C. Tolkien (and Kay) had a difficult task & IMO did a great job with the multitude of incomplete drafts. I’d be happy simply with an illustrated version of the Silmarillion chapter, followed by some other drafts and a minimum of commentary. But I started to wonder if the new book may simply end up being an expanded version of that chapter of the Lost Road, giving longer excerpts of the source texts, perhaps including repeating the original Lost Tales version. Following your blog now. Beren and Lúthien: What’s the original version? In the week since the announcement that this story will get its own publication, I (and I’m sure many others) have been mulling over just what this will include. This post is in part thinking aloud, and in part an invitation to hear any other perspectives about what we can expect. The next paragraph says ‘Returning from France and the battle of the Somme at the end of 1916, he wrote the tale in the following year’, which if taken very literally seems to suggest that the ‘story’ of the previous paragraph is basically the Book of Lost Tales _Tale of Tinúviel_. Unless there was some complete version not even alluded to by Christopher Tolkien, these are, I think, literally the only possibilities. (I guess the relevant entries in the various Annals could be considered complete versions as well, but I can’t imagine they’re what’s meant.) (1), (4), and (5) are almost certainly the very best candidates. Actually I wonder if (4) and (5) should be considered together as (4/5). (4) is older, and could be regarded as the ‘original’ draft for the chapter in the Sil, but (5) is the immediate textual basis for chapter 19 of the Silmarillion (supplemented by several other texts). If ‘original’ primarily means the text without the editorial reworking for The Silmarillion, then (5) may be meant. In any case, (5) is ‘based on’ (4), and I’d guess that they don’t differ all that much in a lot of places. Like John Garth, I think option (2) is extraordinarily unlikely: it’s only three paragraphs long, and serves very poorly as a ‘fully continuous… story’. (3) is also maybe not very likely: it’s very much derivative of the Lay (so far from ‘original’ in the tradition as a whole), and unlike (4/5) can’t really be considered ‘original’ in the more immediate sense of the textual development of chapter 19. While none of these texts can possibly constitute a ‘fully continuous and standalone story’, I think we can hope that some of these will appear among the ‘passages in prose and verse from later texts that illustrate the narrative as it changed’. I’d say that (iii) and (v) are the most important ones to hope for, since (as far as I can tell from the descriptions in HoMe V), these are the fullest prose versions of this tale Tolkien ever wrote (excepting, perhaps, the Tale of Tinúviel). One could imagine that (v) in particular would be accompanied by some extracts from the revised Lay to illustrate their affinity, which would fit nicely with the press release. A) A main text. Either the Tale of Tinúviel (1) or the earliest complete versions constituting the ‘original’, pre-edited version of chapter 19 of the Sil (4.5). B) Further extracts in prose, hopefully including at least one of the two most full-bodied narratives from the Quenta tradition (iii and/or v). There may, of course, potentially be quite a few fragments and excerpts in this section. C) Extracts in verse. Obviously meaning the Lay of Leithian. If (v) is included as a full extract, we might specifically expect some of the later, post-LotR revisions to appear alongside it. Thanks for posting this extremely helpful overview, Nelson. As I said in reply to your Facebook comment, I had overlooked the prose “saga” based on the post-LotR verse rewrite. For the main text, I think it all depends on how far Christopher Tolkien considers the Quenta Silmarillion-era writing a “reboot”, and how far, on the other hand, the book is intended as a centenary publication. Thank you so much for your excellent blog on this topic, John. Thanks too to Nelson’s breakdown of all the possibilities. I myself am ruling out the original 1917 Lost Tale for the following reasons. 1) It is just too removed from the final version in chapter 19 of the Sil. It can’t even be called the Tale of Luthien and Beren as she is not even named Luthien in the tale. All the names are different: Thingol is Tinwelint, Melian is Gwendeling etc. How could anyone not familiar with HoME (which will be the targeted audience) ever consolidate this story with anything in the Sil. 2)Beren being an elf rather than a man steals the most powerful punch from the story. Without the Elf/Human dynamic, it really is a much weaker story. 3) The 1917 version has been published in full, which the announcement says is not the case. No, it has to be what Nelson calls iv; the original text of what became chapter 19 of the Sil. The accompanying texts would then possibly be extracts from the 2 versions of the Ley of Leithian and the prose version of the Lay.